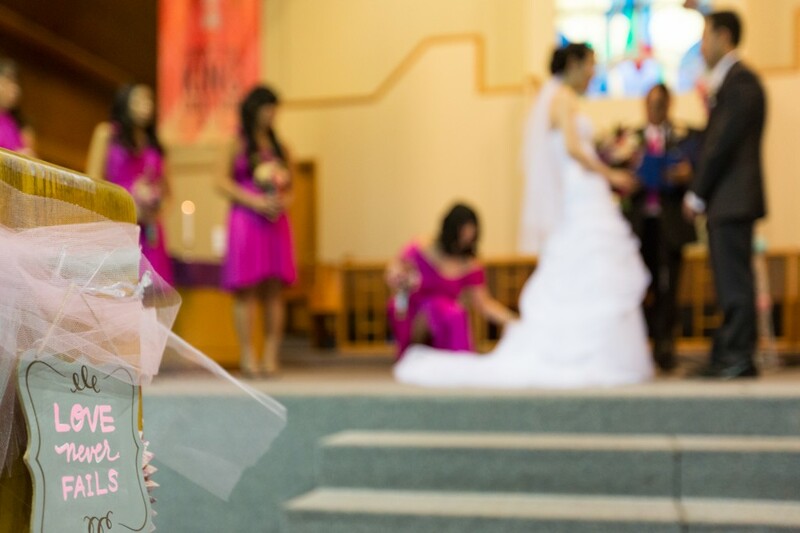 Chris and Kathryn’s Chinese wedding in Edmonton was the fourth Chinese wedding we have photographed. 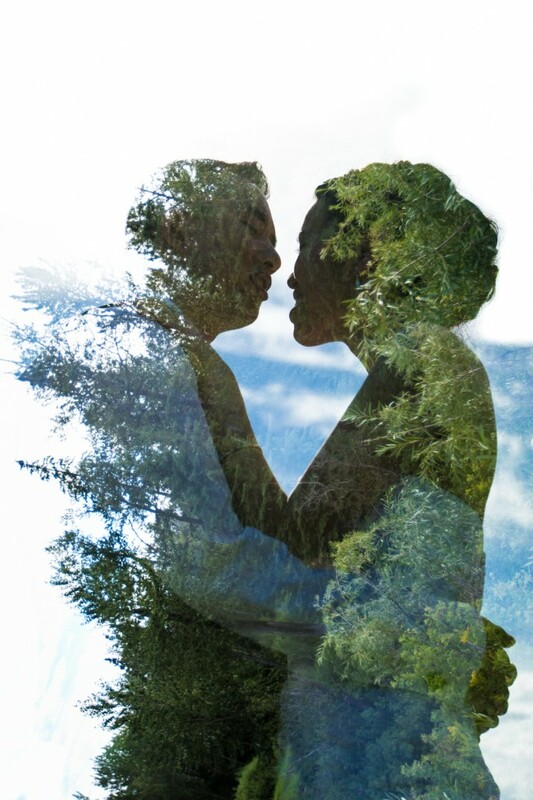 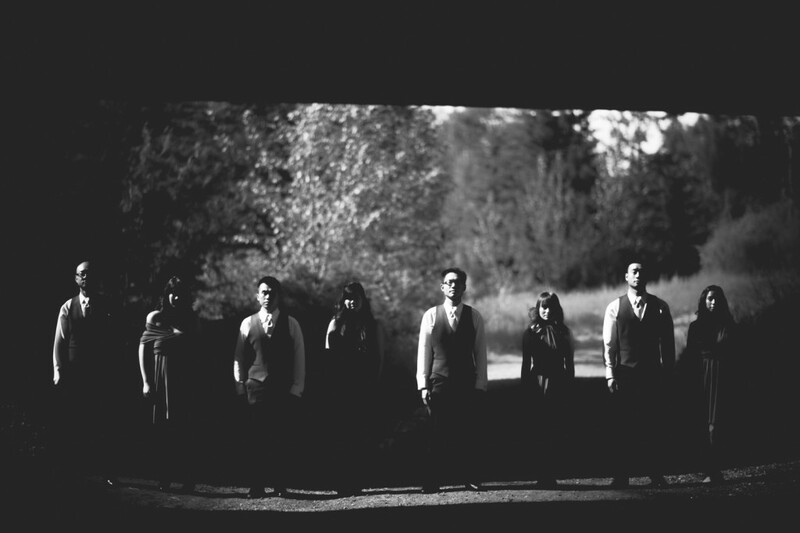 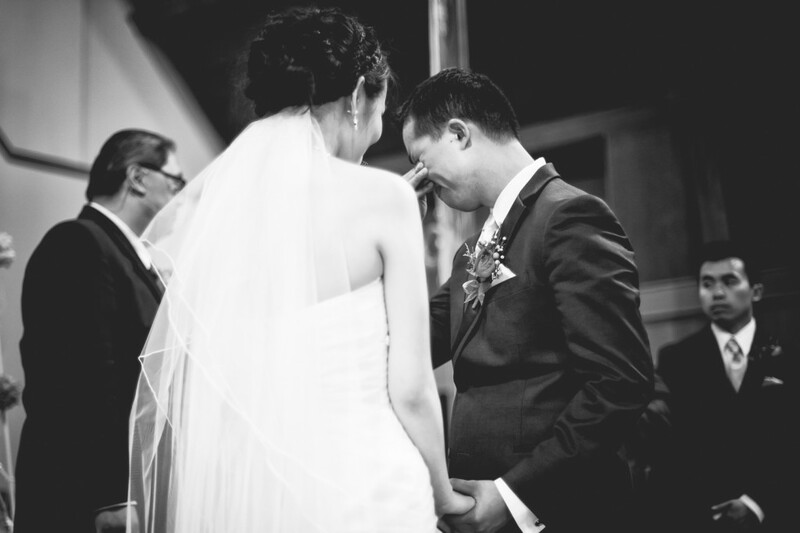 It was all about love – love for their community, their families and each other. 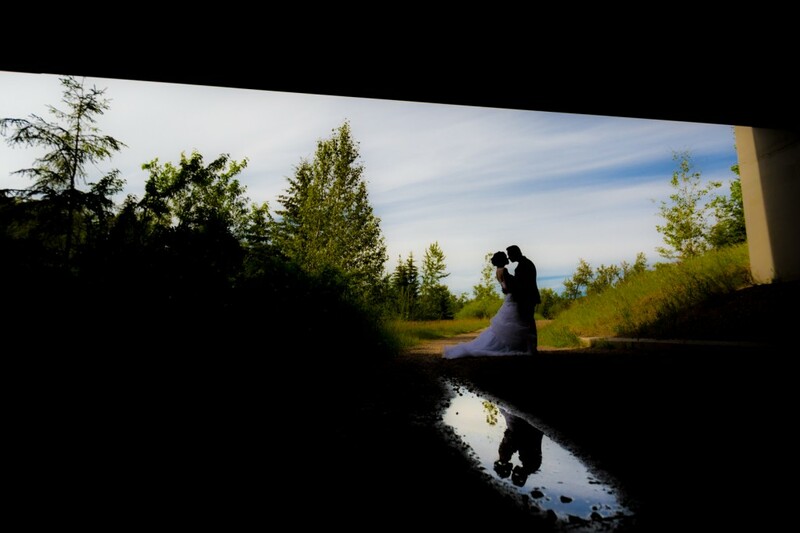 It was easy to see the love that these two shared as they were holding hands and talking sweetly with one another throughout the day. 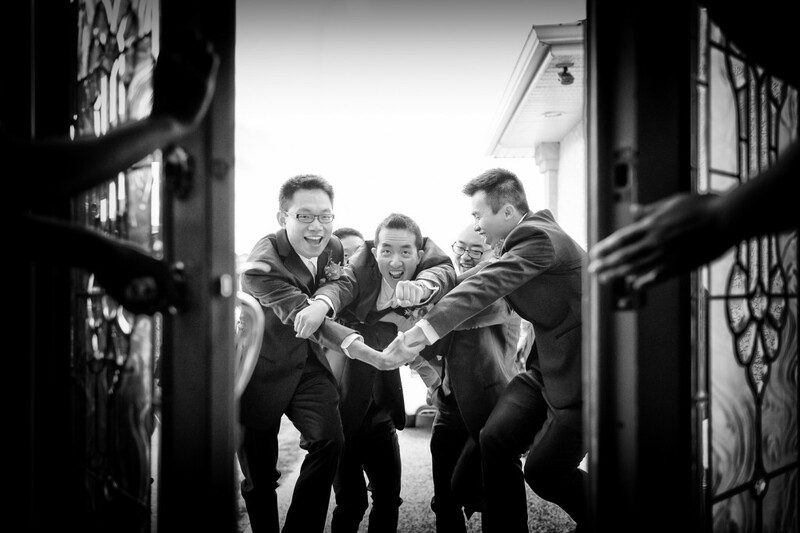 The morning festivities started with the Chris and his groomsmen arriving at Kathryn’s family home ready to earn their way inside to retrieve the beautiful bride. 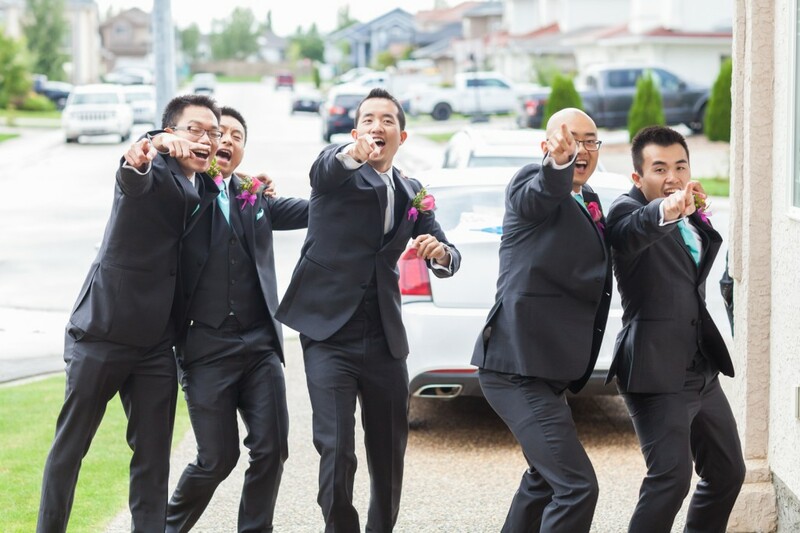 After a few a skill testing challenges and one incredibly well choreographed song and dance routine, Chris was permitted to enter the home and see his bride. 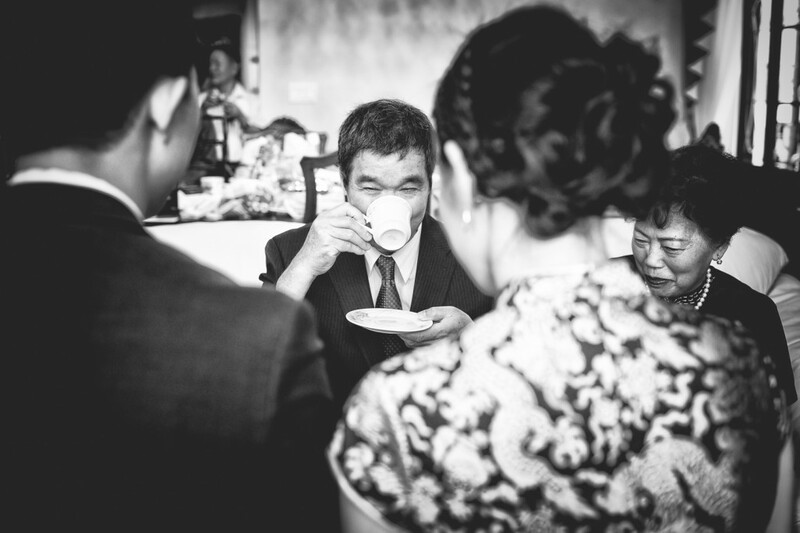 The bride and groom performed a traditional Chinese Tea Ceremony for their family and close friends at both the bride’s family home and the groom’s. 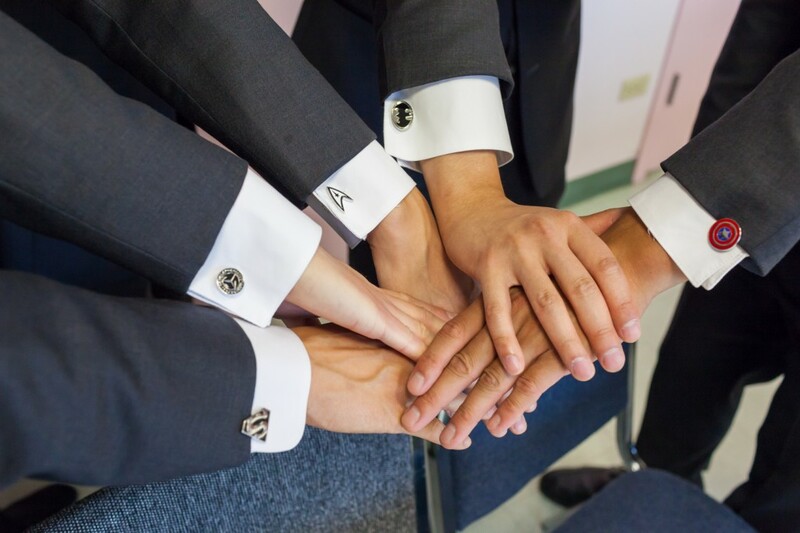 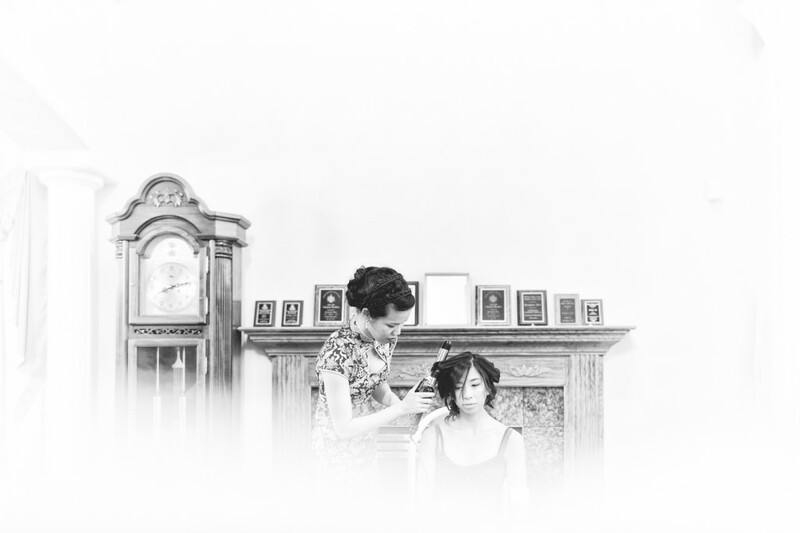 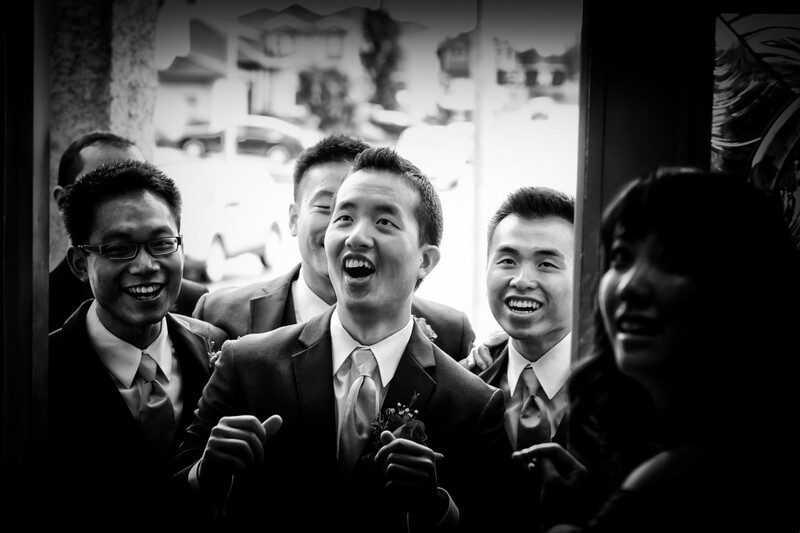 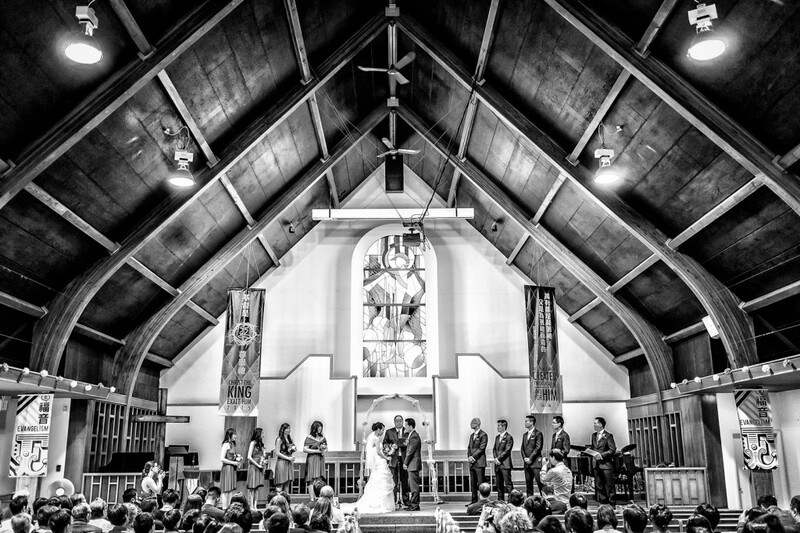 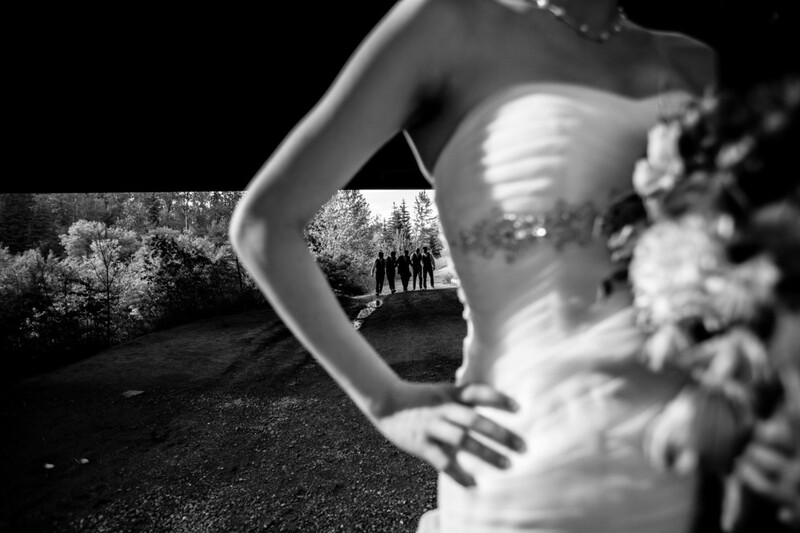 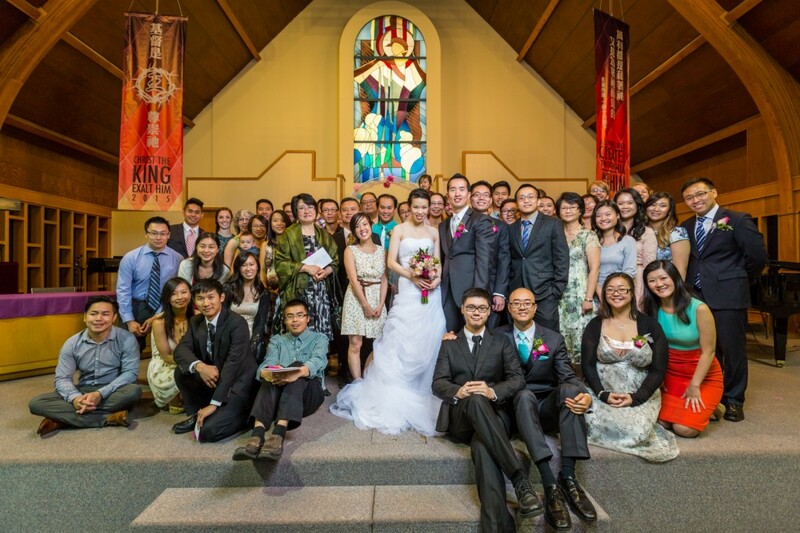 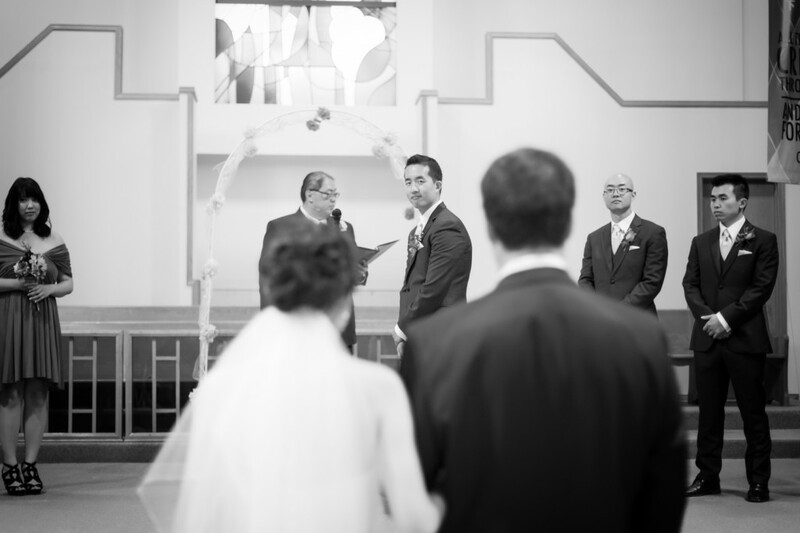 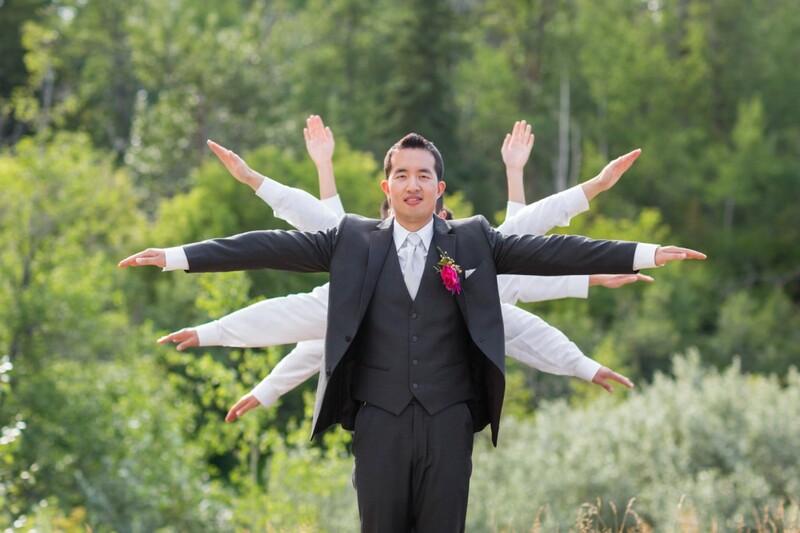 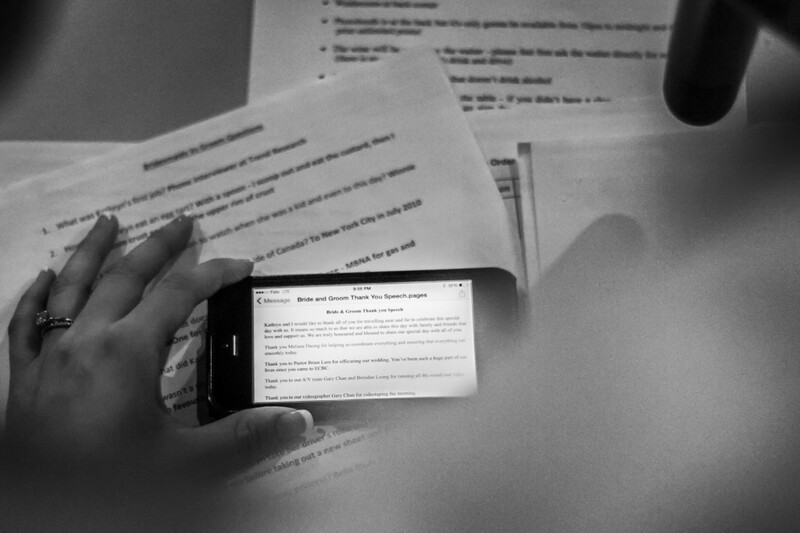 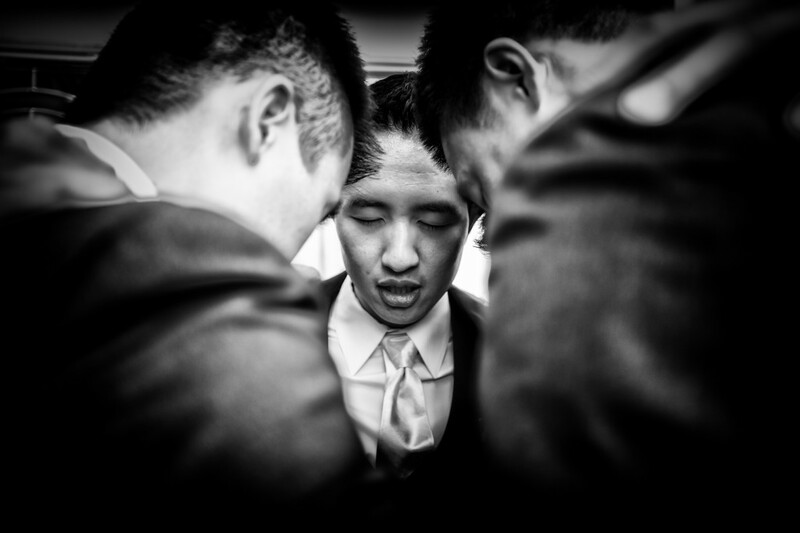 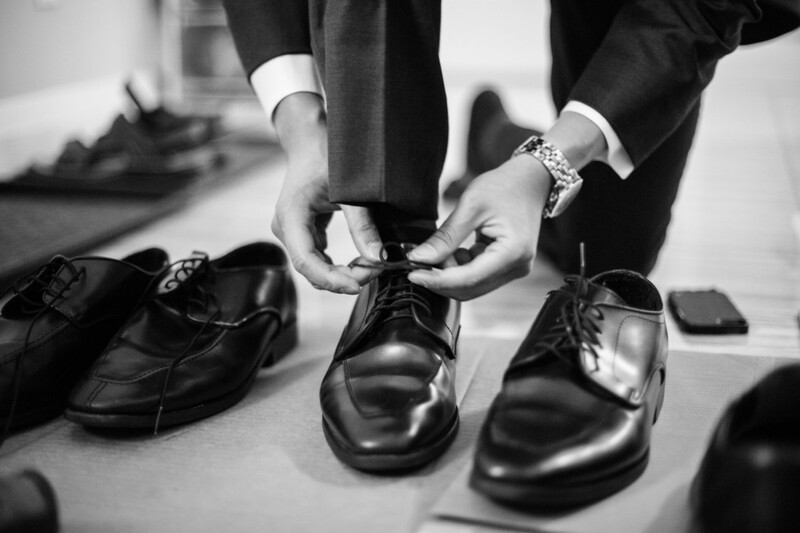 The wedding ceremony was held later in the morning at the Edmonton Chinese Baptist Church. 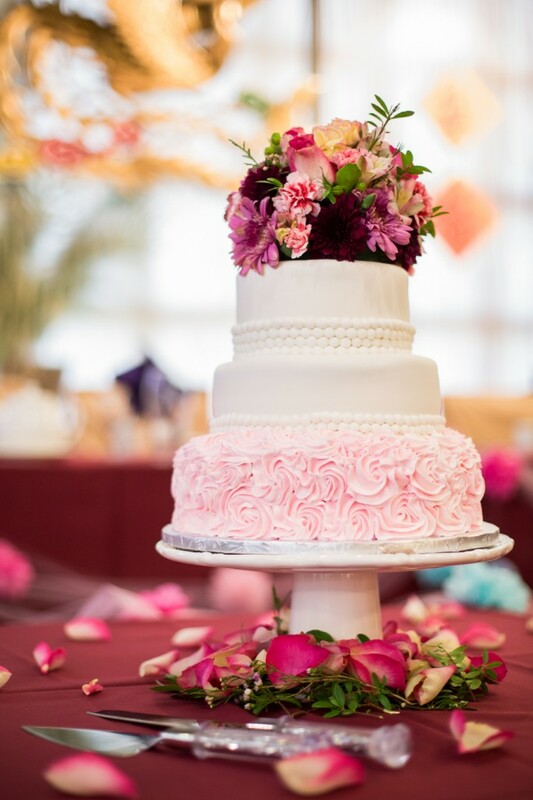 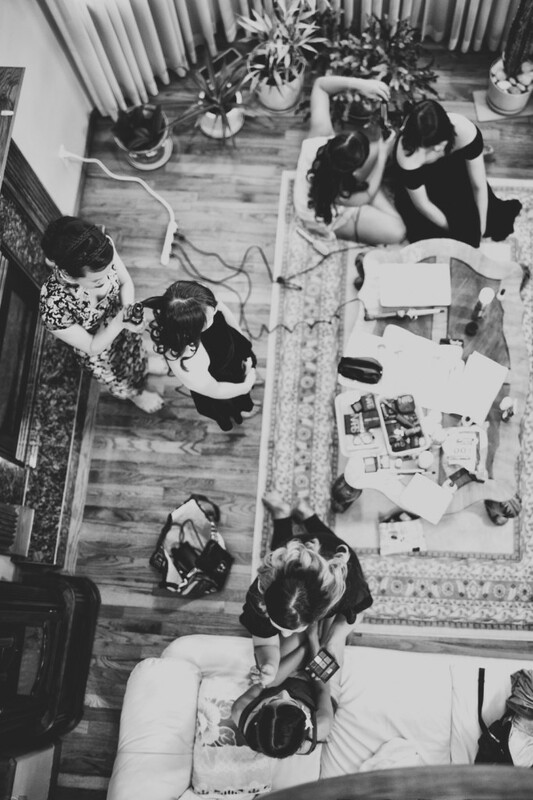 It had been beautifully decorated with handmade flowers made by Kathryn and her bridesmaids. 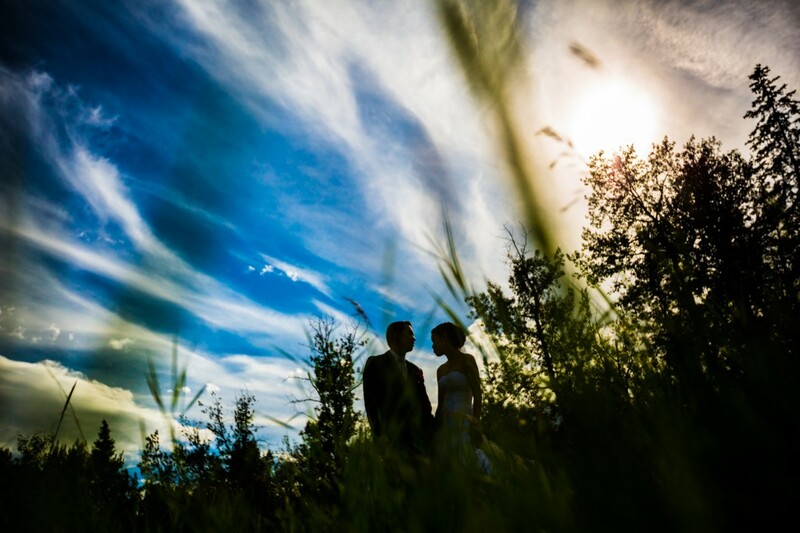 Chris and Kathryn wanted to make the most of their wedding portrait session by balancing their love of architecture with the beauty of Edmonton’s river valley. 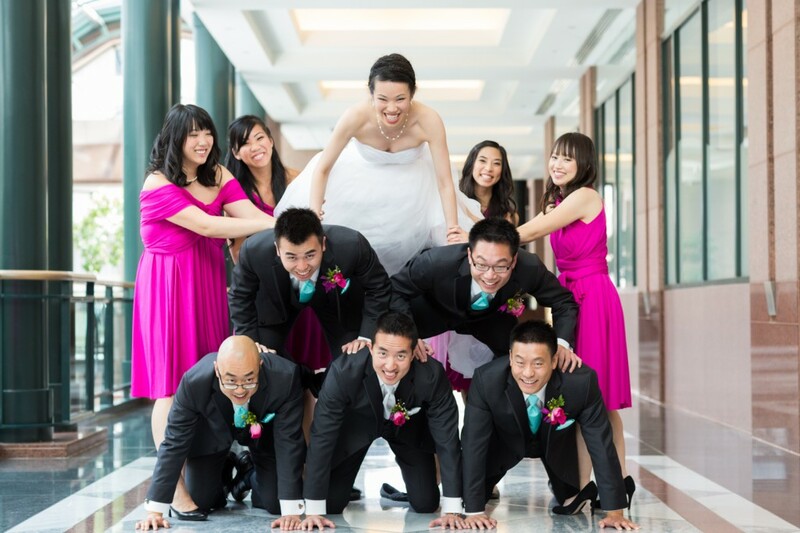 Our first stop was Commerce Place, which set the stage for some very fun wedding portraits – like when the wedding party shouts “human pyramid!” and assembles into an epic bride-topped pyramid. 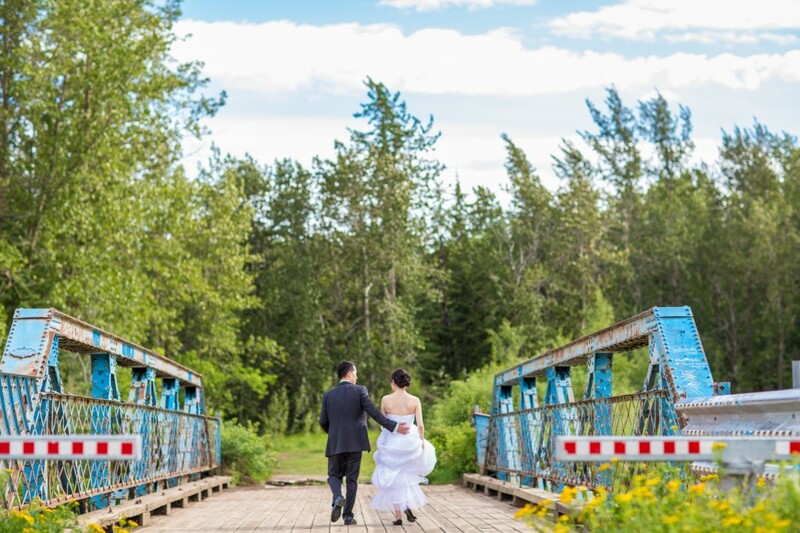 We then departed for Mactaggart Sanctuary, where the wedding party had the opportunity to explore the untouched beauty of Edmonton’s river valley. 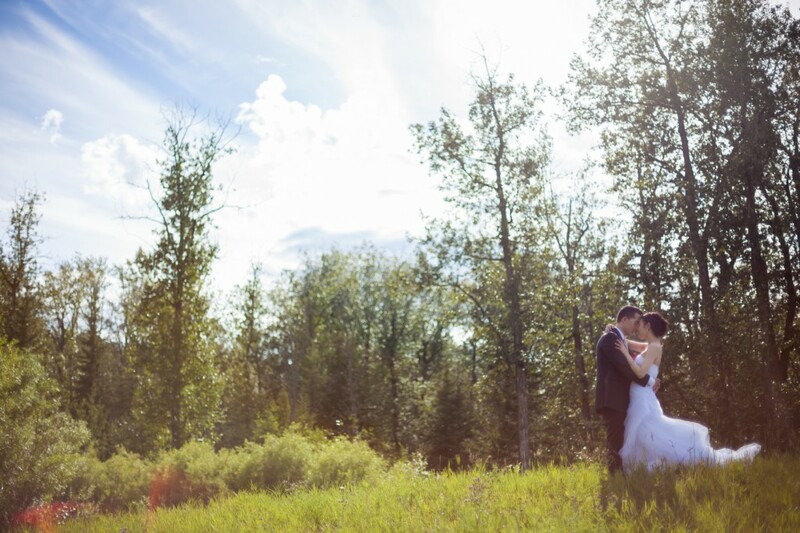 Chris and Kathryn had an opportunity to relax and take their first walk through the park as husband and wife. 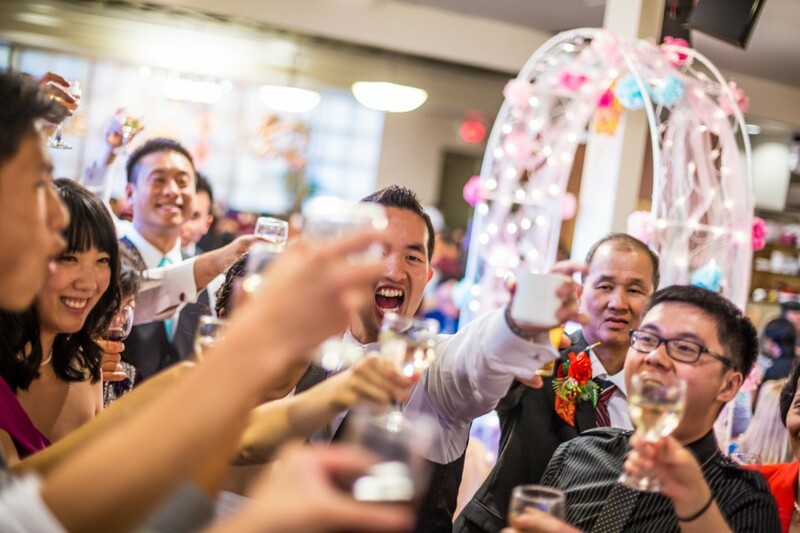 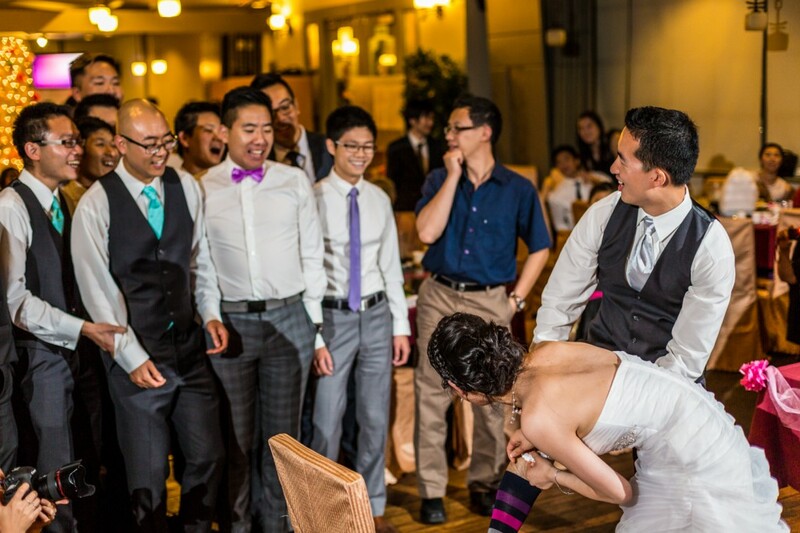 Chris and Kathryn’s lively wedding reception was held at Beijing Beijing, where guests were entertained by stories and games all while being treated to a delicious traditional Chinese dinner. 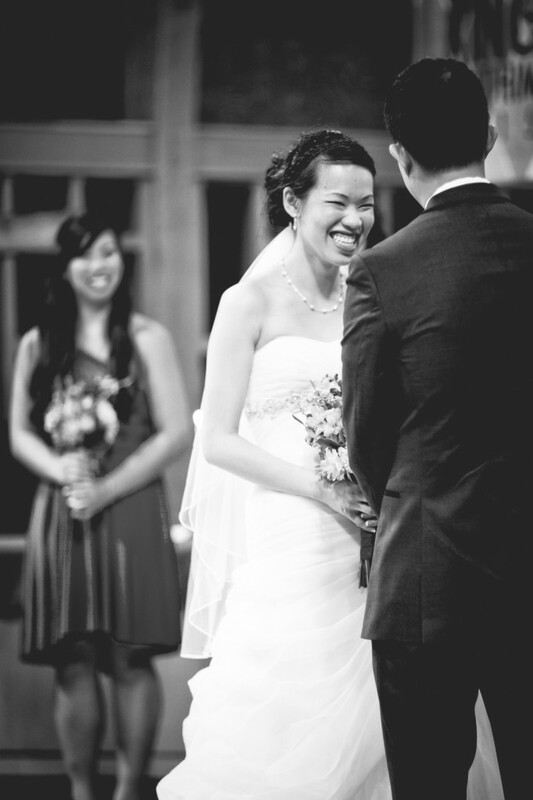 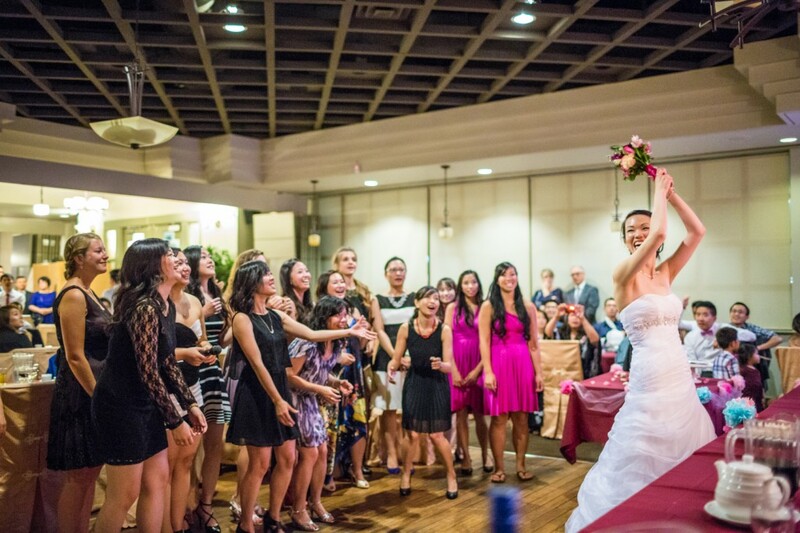 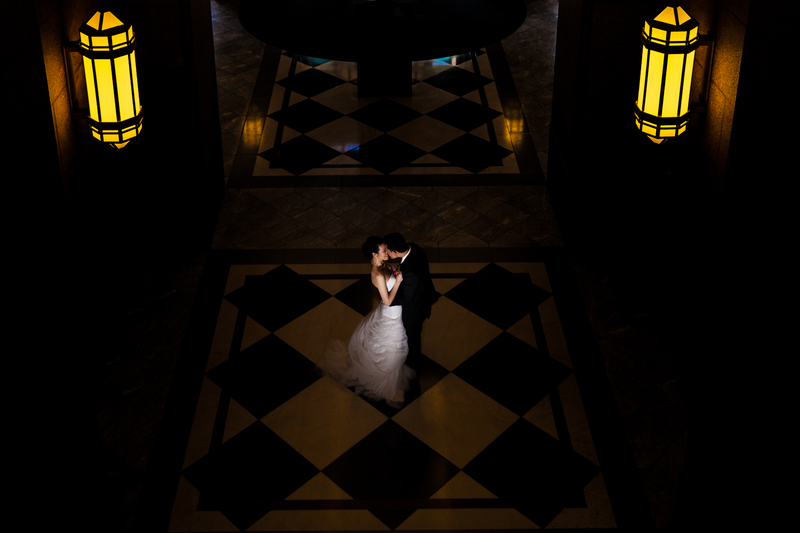 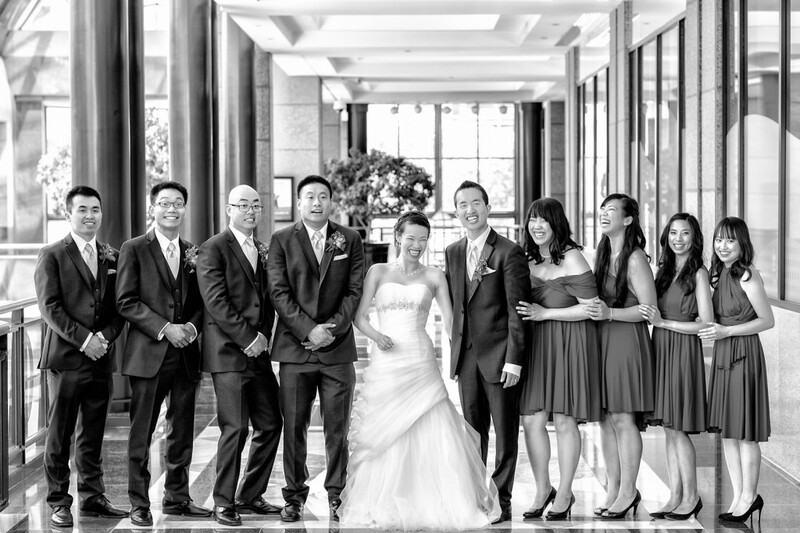 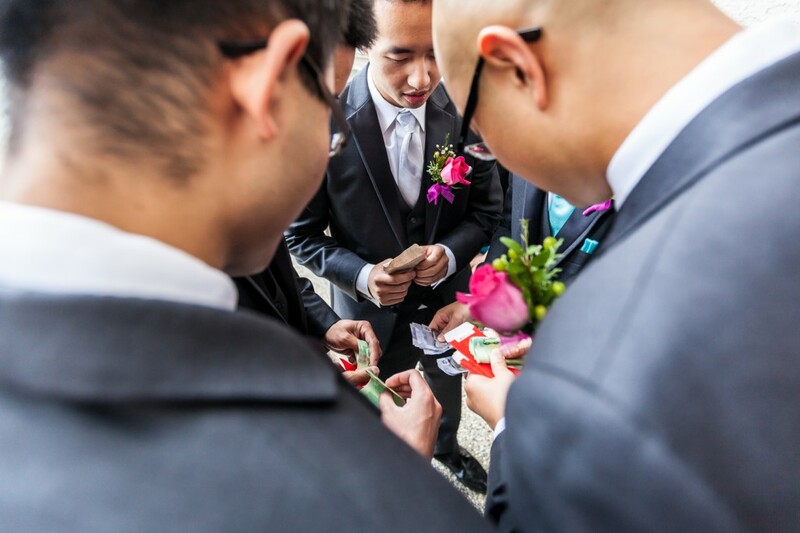 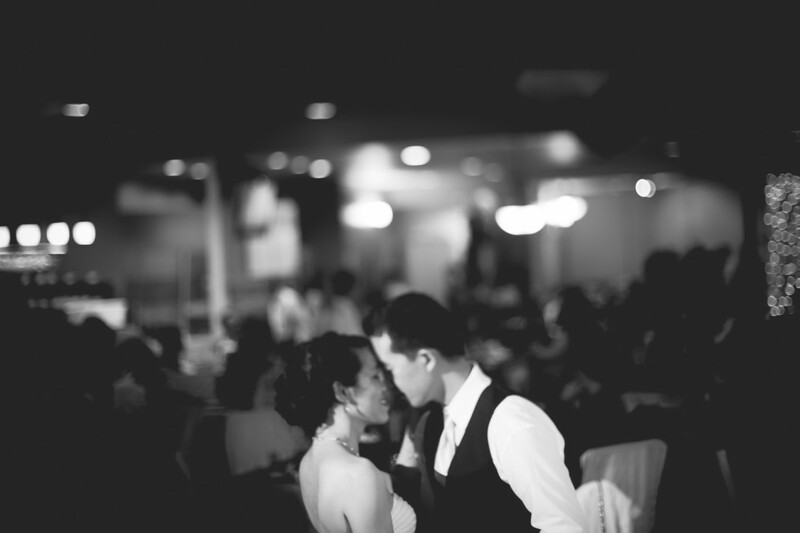 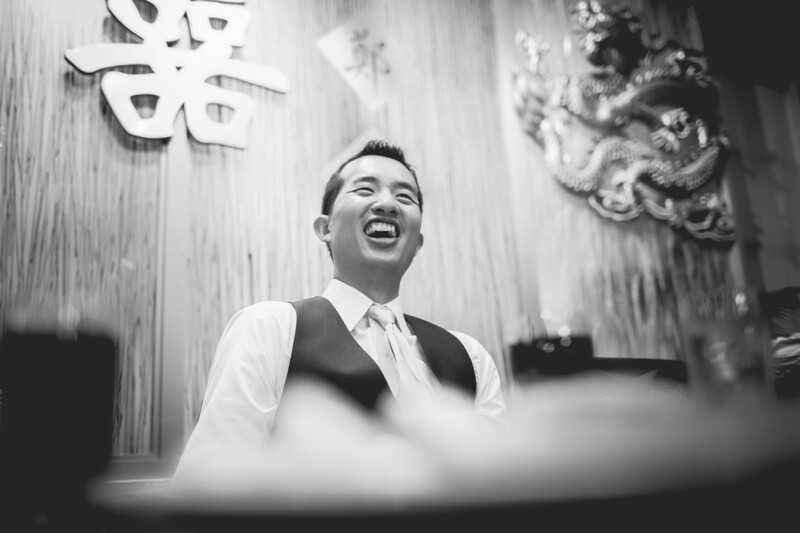 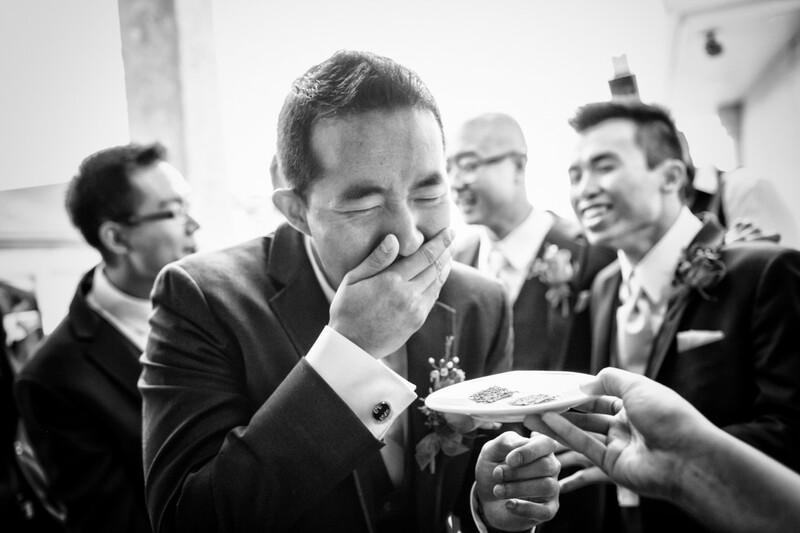 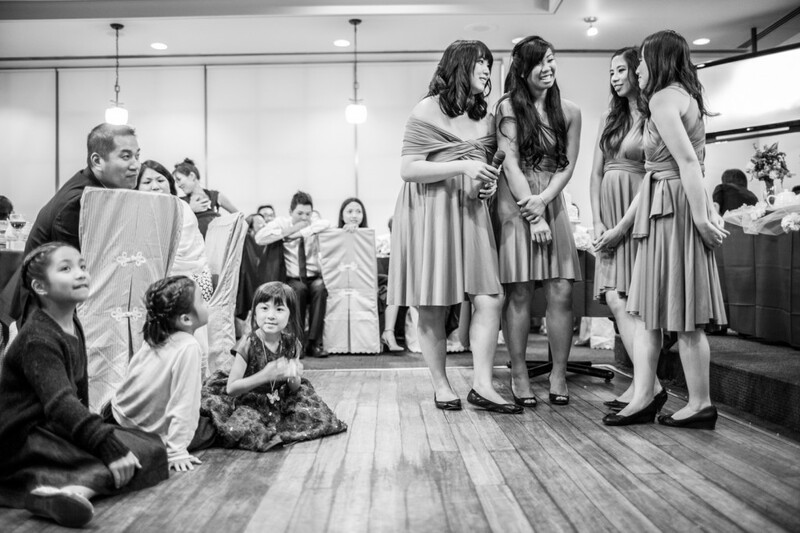 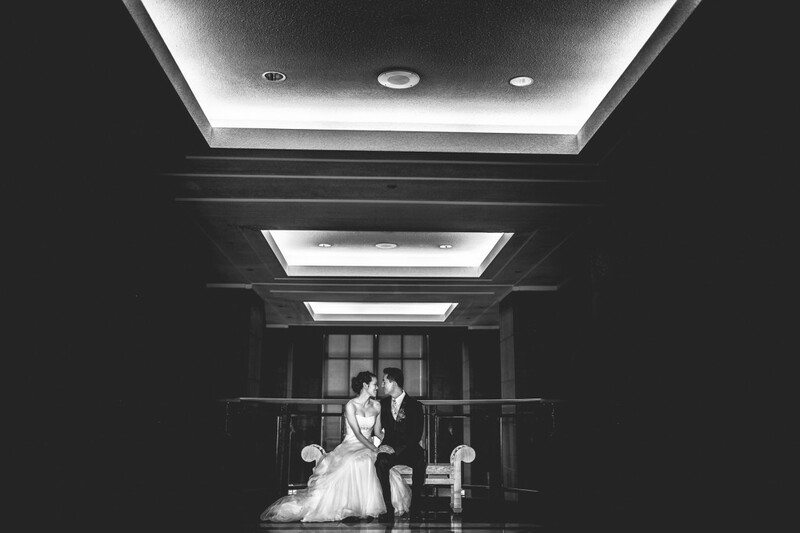 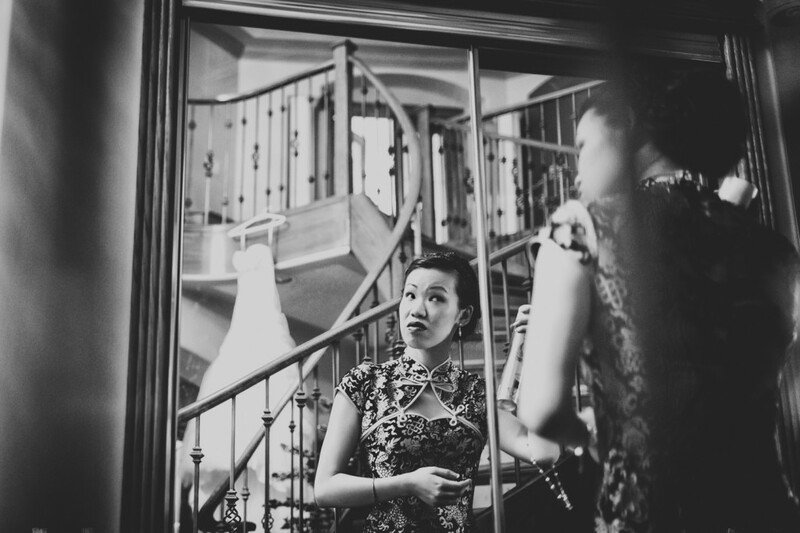 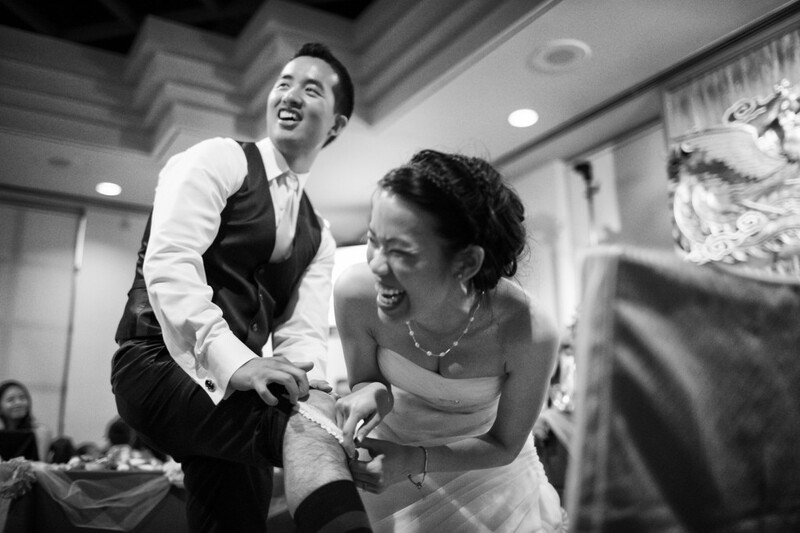 Thank you for inviting Deep Blue Photography to capture your beautiful Chinese wedding! 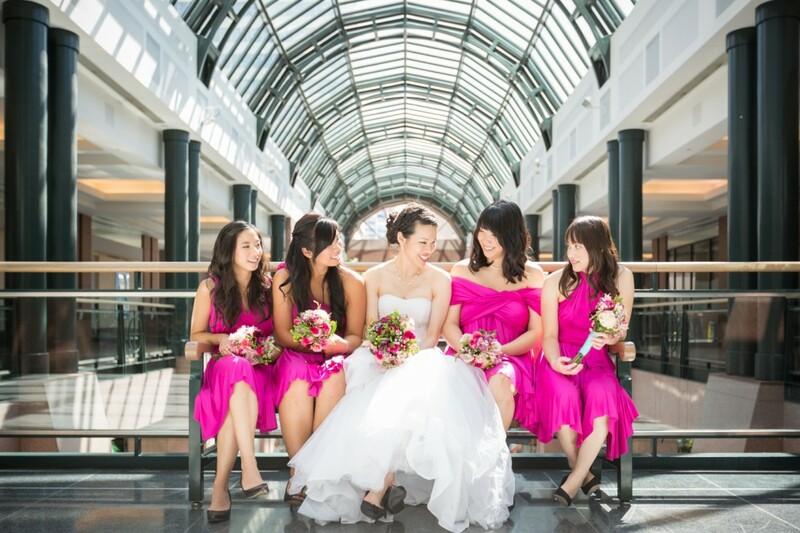 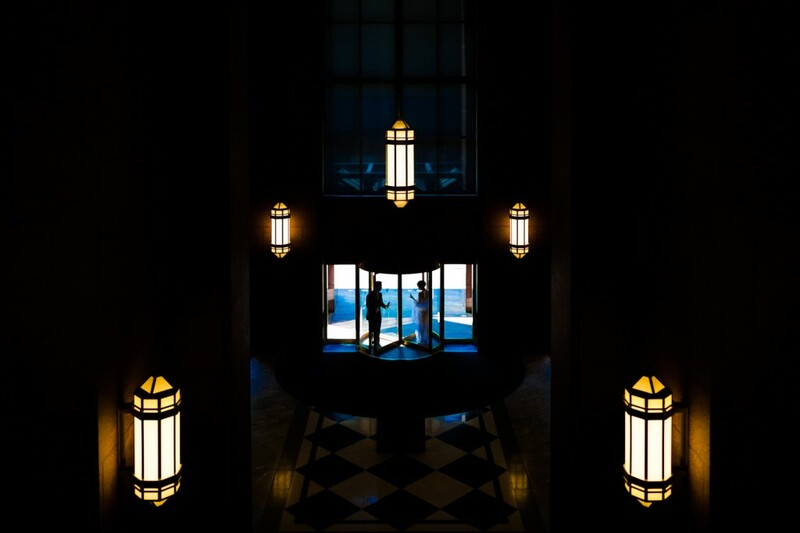 If you are looking for the perfect indoor wedding reception venue, check out our list of amazing locations!